Hi friends, just packaging, framing, tagging and packing up tonight for the big Christmas Open House tomorrow at Carolina Artists’ Colony in Sanford. 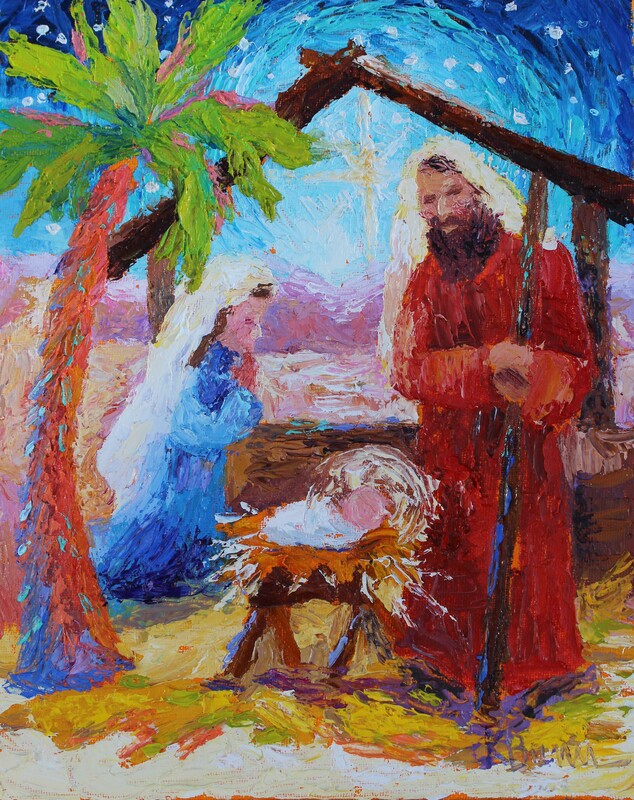 “Nativity 2014” is fresh off the easel and my husband is framing it right now! I’ll be at CAC tomorrow painting live from 11:00-1:00, hope to see some of you and meet some new friends. 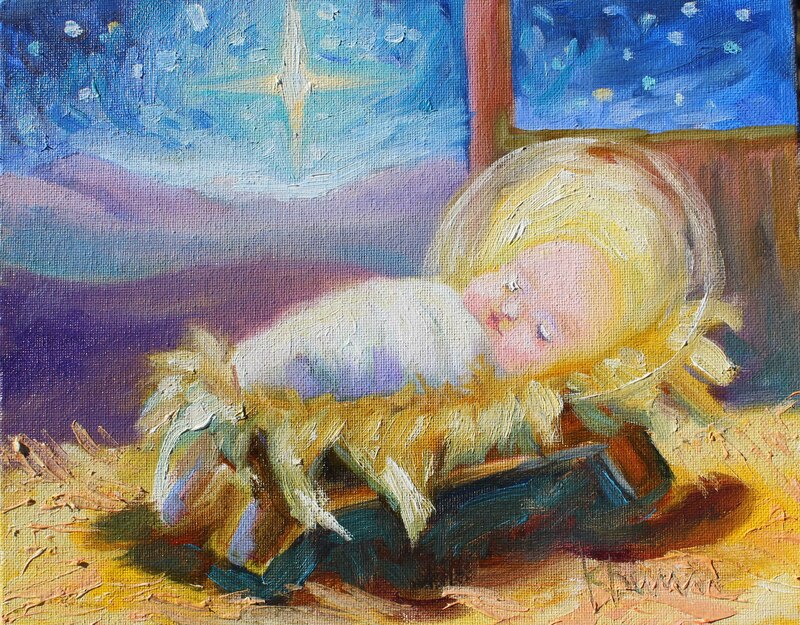 Here’s my first oil painting of little baby Jesus, and I’m bringing it with me to Carolina Artists’ Colony in Sanford for the Christmas Open House this Saturday, November 22, 2014. CAC has 10 rooms filled with unique items, over 100 NC artists exhibit there, they have something for everyone, there’s just so much to see! CAC is located at 148 S Moore Street in Sanford, NC. If you are in the area Saturday, please stop by and chat with me, I’ll be painting live from 11:00-1:00. If you can’t attend, stay tuned for my painting updates, CAC will ship. I have a Nativity on my painting easel right now and hope it will be finished before Saturday.